A man may have too much money or too much honor, but he cannot have too much grace. When Jeshurun grew fat, he forsook God, but there is no fear of a man's becoming too full of grace: A plethora of grace is impossible. More wealth brings more care, but more grace brings more joy. Increased wisdom is increased sorrow, but an abundance of the Spirit is fullness of joy. Everything a Child Should Know about God introduces children to the most important Bible truths of the Christian faith. 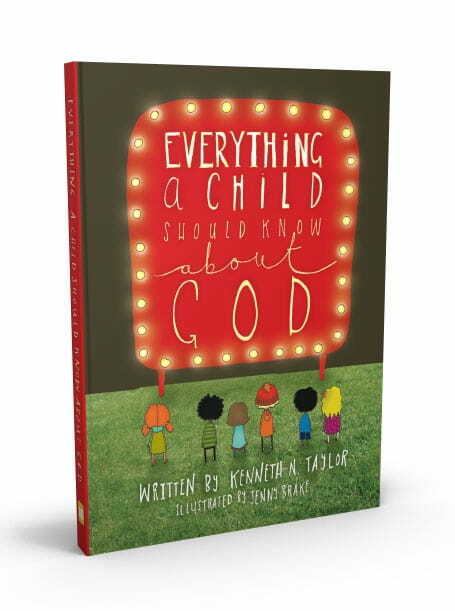 Author Kenneth N. Taylor presents profound topics including sin, the Trinity, and salvation through our Lord and Savior Jesus Christ, in an easy-to-read narrative style written for a child audience. Children will enjoy the colorful illustrations as they gain a deeper understanding of Who Jesus is, why He came, and what it means to be a Christian. Originally published December 13, 2015.